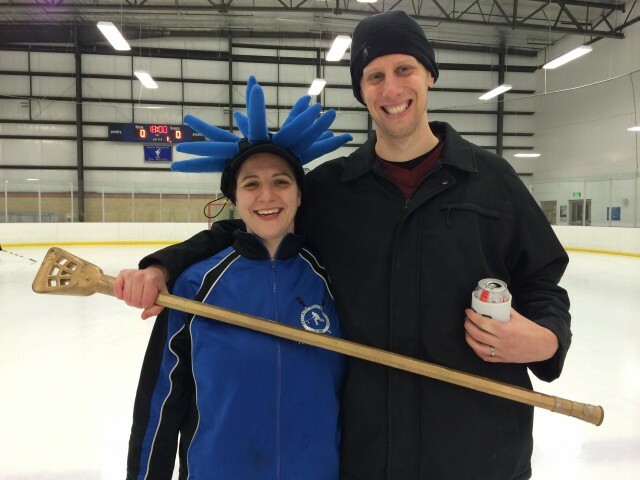 Updated Wednesday December 31, 2014 by Baltimore Broomball Club. Annie has been dedicated to the BBC since day 1...8+ years ago. The club would not be what it is today without her being a part of it. Hats off, or helmet cover on rather, to the CIO Award Winner! KT is heading to NYC in January but will always be a part of the BBC. Oddly he has never won the Golden Broom,so it was perfect timing that he take home the award as he ventures off on a new life journey. May your knuckles always bleed on your first shift KT!